Healthcare systems encompass an immense network of resources. Coordinating communication between your various hospitals, care facilities, medical professionals and auxiliary support services can present some of the most daunting technical challenges of any industry. In addition to managing these logistics, there are ever-present requirements to reduce costs, increase productivity, protect patient confidentiality and try to bridge the gap between the patient and the proper care that they deserve. At Compunetix we help to increase collaboration capabilities so that patients can have better care at a lower cost. The Video Call Center is a web-based transfer solution built with dynamic WebRTC technologies. WebRTC, or Web Real-Time Communication, is a method of communicating through voice, data, or video using Web Browsers. Seizing upon the opportunity to utilize this cutting edge communication technology, Compunetix has created the Video Call Center as a user-friendly solution to help alleviate the poor customer experience generally associated with web communication. The reliablity and customizablity of this intuitive solution lets users take the leap into the next generation of high quality remote video communications with patients and customers alike. Healthcare Transfer Centers are a recent expansion of existing healthcare provider call center activities. These departments are often referred to as either Transfer Center or Patient Placement. Their mission is to enable the healthcare system to improve patient care while making the system more efficient overall. Transfer Centers are manned by experienced nurses and clerks to most effectively bring together physicians needed for a prompt consult, coordinate transportation for a patient, arrange for a bed, and ensure the most appropriate level of care for that patient upon their arrival. 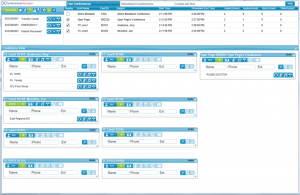 The Compunetix ConferenceManager™2 provides the visual tools that enable expert Transfer Center staff to effectively perform their critical duties. When a life is at risk, coordinated care can make the difference. The growing demand for responsive and effective mental health and substance abuse services has providers seeking new ways to reach those most in need. At Compunetix, we are dedicated to delivering enabling collaboration technologies that can help mobile crisis response teams expedite faceto-face assessment, intervention, and treatment. 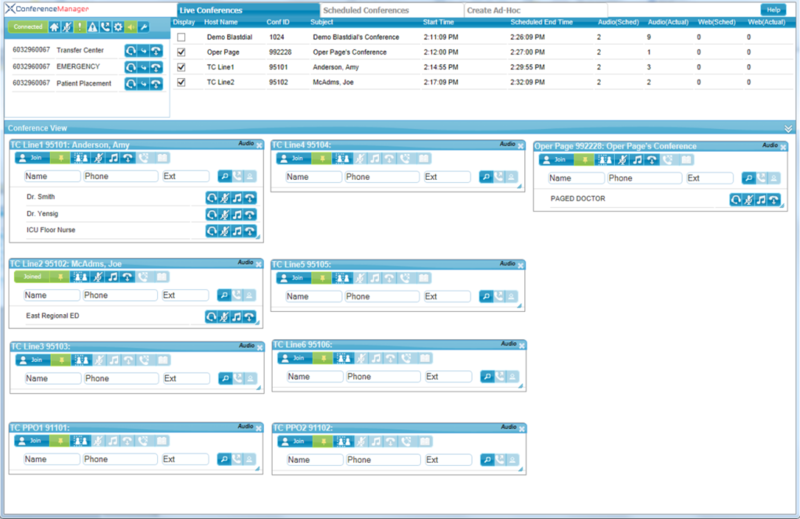 Our Video Call Center application effortlessly expands access through remote video-conferencing.